Custom Plastic Tokens with Your Logo – 5 Styles! Plastic Tokens – Choose from Five Styles of Plastic Tokens! 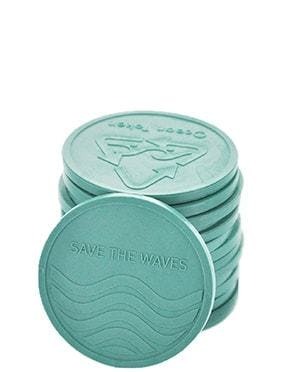 We offer five types of Custom Plastic Tokens: Standard Plastic Tokens with one-color imprints; Tokens with full color designs; Custom Molded Plastic Tokens; Transparent Printed Tokens; and Rectangle Shape Customized Plastic Tokens. Our Custom-Printed Plastic Tokens range in size from 0.91” to 1.63”. Stock token designs (for example, drink token graphics) are available for most styles of Customized Plastic Tokens. We also offer Custom Wood Tokens and Custom Metal Coins with your design and message! For additional information on any of our Customized Drink and Game Tokens or to order, please contact us at 1-800-233-0828. © 2016 Kardwell International, Inc. The contents of this web site are the sole property of Kardwell International.